Hobbs & Porter manufacture stainless steel kitchen worktops with integral upstands for domestic kitchens throughout the UK. Close up detail of stainless steel worktop with 50mm high integral upstand. 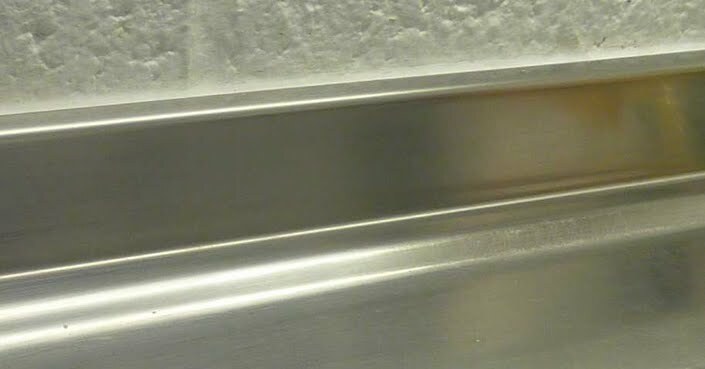 Integrated upstands are generally used to help to provide a good seal between the worktop and the wall to help minimise the build of germs and bacteria.